In the Octopus Web UI, click your username in the top right corner of the screen. Select Profile to go to your profile page. 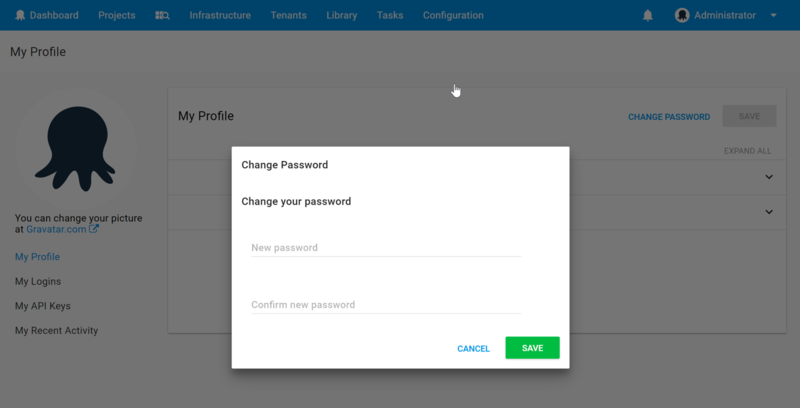 Octopus Server administrators can reset the passwords of other users from the Octopus Web Portal at Configuration ➜ Users. 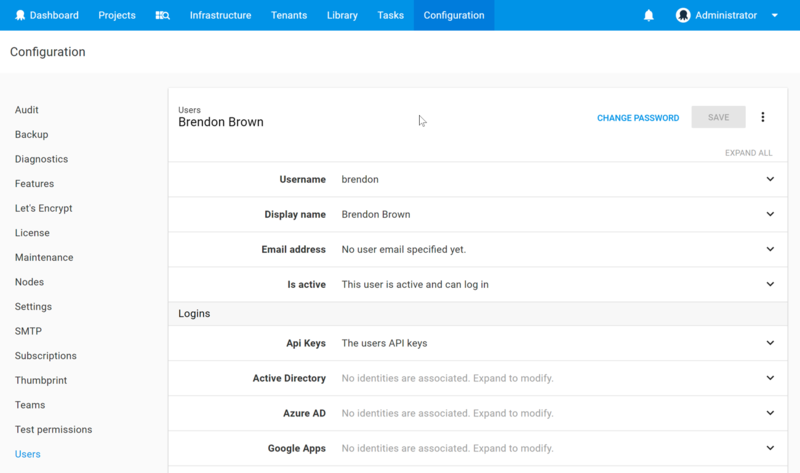 Users can be made administrators, and new administrator accounts created using the command line on the Octopus Server machine. To reset the password of an administrator, or to make a user into an administrator, open an administrative command prompt on the Octopus Server and run the following commands. 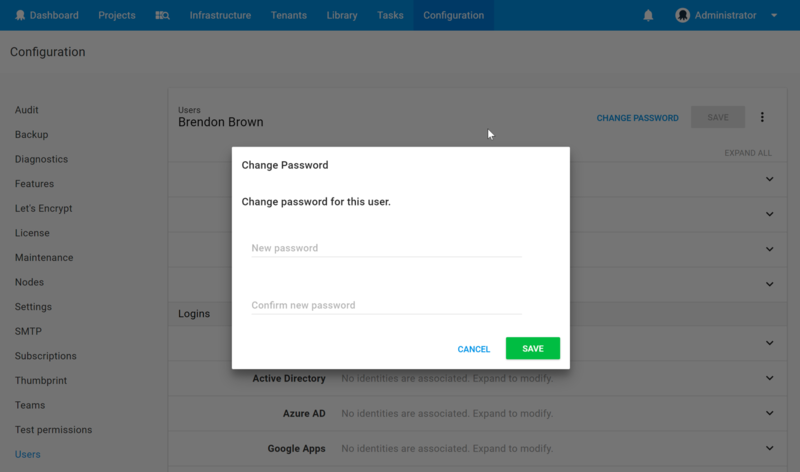 Replace YOURUSERNAME with the simple login name of the administrator account, and provide the new password.